With this total dropping from a 9.5 to a 9 we are now seeing additional line value with the over in this match-up. The Rays are sending Austin Pruitt to the mound and he has been working out of the bullpen. He has not impressed as opponents are hitting .333 against him. Pruitt has compiled a 6.25 ERA in his 18 appearances (1 start) in this, his rookie, season. 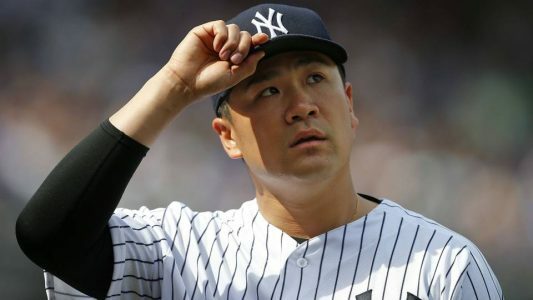 He has faced the Yankees twice out of the bullpen already this season and he was hit quite hard. The Yanks will have pitching issues of their own here as they hand the ball to Masahiro Tanaka for this one. The right-hander is winless in his last 3 starts and has compiled a 6.00 ERA during this stretch. He’s facing a Rays team that has scored 5 runs in 4 of their last 5 games. As for the Yankees offensive machine, they’ve produced 5.6 runs per game in going 6-1 in their last 7 games. Look for more hot hitting from the Yanks here as they take advantage of facing an inexperienced rookie starter. As for the Rays lineup, they’ve pounded Tanaka to the tune of 13 earned runs in 5 and 2/3 innings spanning his two starts against Tampa Bay this season. More of the same in this one! Free Pick on OVER the total in the New York Yankees game early Friday evening.